As the sun dances along the ocean with a twinkle in its eye, it whispers the promise that summer is on its way. 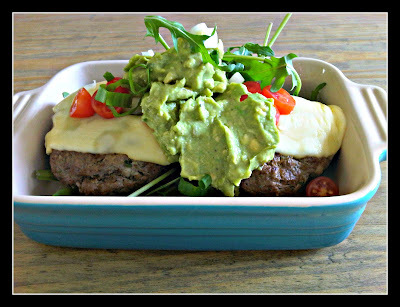 Welcome the sunshine into your life with these delicious burger patties. Awesome on their own, with a salad or wedged between a warm bun, dripping with tomato sauce and melted cheese. Fry in a griddle pan or a normal frying pan for 3 - 4 minutes on either side, until charred on the outside, but still moist on the inside. Serve on rolls with the garnish of your choice or top with melted cheese, guacamole, rocket, baby tomatoes, spring onion and olives and eat as a warm salad.